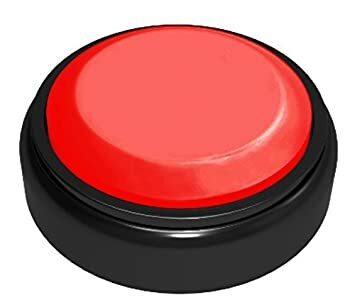 Forum » Writing Help / Help: Ideas and Brainstorming » SCP Idea: "Bullet-Hell Button"
Think of one these "easy" buttons only instead of "easy" it has a .50cal round printed across its face. Button must be pressed, button must be released, then upon coming in contact with a floor-like surface the button will effectively root itself in place while a perfectly symmetrical dome of black rifts rapidly opens and surrounds it before they simultaneously unleash a seemingly endless stream of weapon fire that rapidly begins to degrade after impact. Effect continues until all matter within the dome, aside from the button and the anomalously reinforced surface it rests upon, is effectively pulverized to a point where it no longer visible to the human eye. Upon meeting this condition the rifts will fade and the button will once again be able to be retrieved from the surface it rests upon. Re: SCP Idea: "Bullet-Hell Button"
It's just putting a video game mechanic in real life without context or purpose. Maybe this could swing it as an AO, but even then it would be pretty underwhelming instead of the brief moments of cleverness the log is intended for. As a skip, I can't see it being successful due to its simple, utilitarian, and somewhat out of place nature.